Choose the best solution for your product! 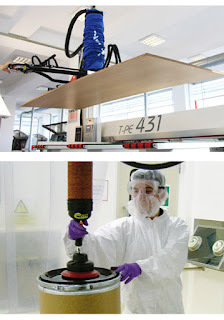 TAWI vacuum lifts are Swedish innovations, helping create a safe and ergonomic work environment and increase productivity in industries all over the world. We know that effective ergonomic interventions can lower the physical demands of manual material handling, thereby lowering the incidence and severity of work related injuries. Fact is that improved ergonomics can help improve a company's productivity and product quality, as well as overall business competitiveness. TAWI's versatile vacuum lifts lets you handle boxes, sacks, sheets, drums and much more in a simple and ergonomic manner. We offer flexible solutions, completely adapted to individual customer needs, securing ergonomic, efficient, and safe operations for every customer. Read more and see our vacuum lifts in action here. TAWI has been producing innovative lifting solutions for the food industry for many years. We understand the food industry, and we know how to lift smart. 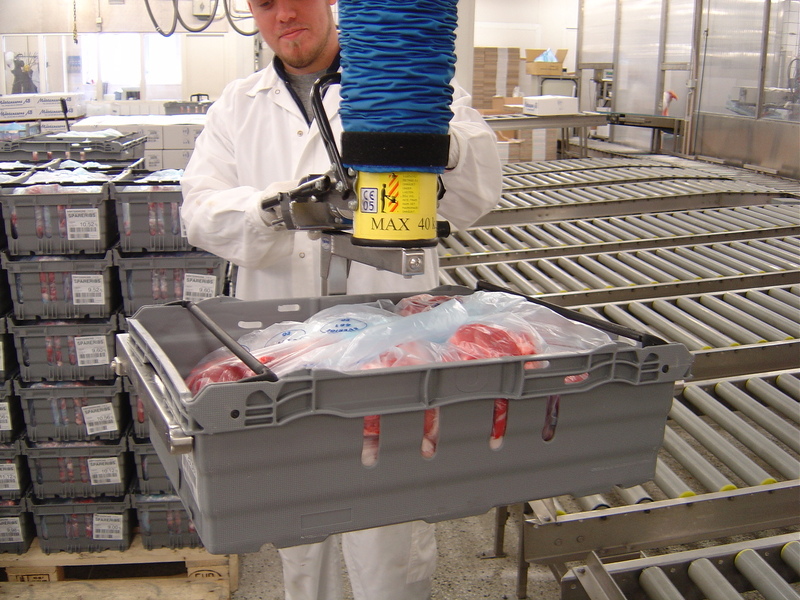 That is why we can provide optimal lifting solutions, securing safe, ergonomic and efficient lifting for food manufacturing facilities. With our thorough understanding of the food industry, and decades of experience of smart lifting, we can offer bespoke solutions for your every need. 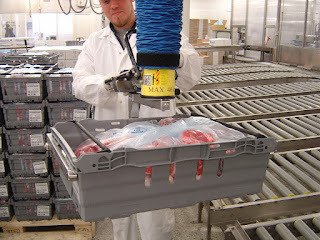 Our ergonomic vacuum lifters can be equipped with tools for lifting sacks of different materials, frozen foods, or vacuum-packed goods, just to mention a few. 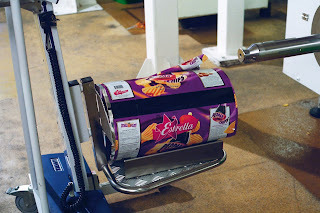 Protema electric trolleys are commonly used in the food industry and the Coregripper is one of our most popular tools, often used to lift and install reels in packaging machines. Learn more about our solutions for the food industry here, or Contact us for more information. Don't miss this exciting new product, launched at Interpack 2017! There will be some very interesting news in TAWI's booth at Interpack this year. Come see us in Düsseldorf to learn more. You'll find us in hall 12/F07. 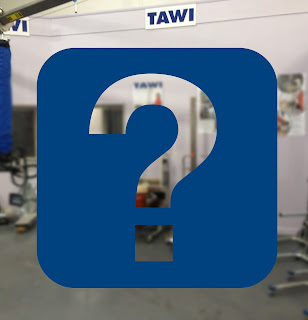 TAWI has been supplying lifting solutions for the food industry for many years, and we have a thorough understanding of the special demands in this industry. 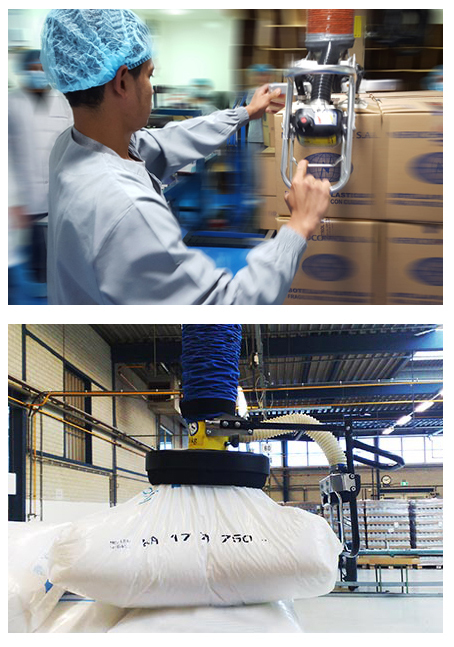 We offer many flexible and ergonomical lifting solutions for safe and easy handling of boxes, sacks and other types of containers common in the food processing industry. We understand the high demands on hygiene in this industry and offer several stainless steel solutions suitable for clean and sterile environments. Read more about our solutions for the food industry here. We are also very proud to offer suction cups approved by the U.S. Food and Drug Administration (FDA). A special manufactured suction head in high polished stainless steel without any screws between operator handle and suction head allows for easy cleaning. We can also supply a lift tube manufactured according to FDA specification, available for model VM120 and VM160. This tube has embadded spirals ensuring protection from dust and other partciles. Contact us to learn more about our solutions for the food industry. Our products are ergonomically designed to reduce the strain on backs, knees and shoulders and at the same time create a more safe and effective handling of goods. All TAWI products are developed and manufactured in Kungsbacka, Sweden. Our products are exported globally through our subsidiaries in US, United Kingdom, Germany, the Netherlands and Denmark as well as through our distributors in some 50 countries.